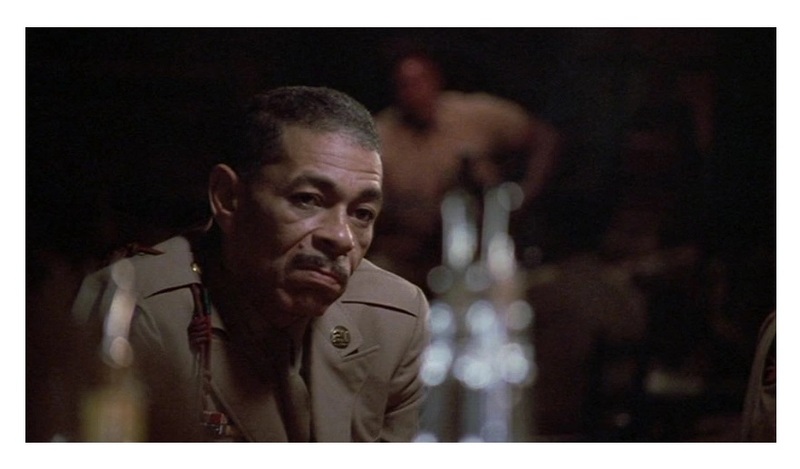 Howard E. Rollins (Ragtime) is Captain Davenport, an African-American Amy officer assigned to investigate the murder of an African-American (Adolph Caesar, The Color Purple) in the Deep South in the 1940s. The story takes place in 1944. World War II had reached a fever pitch. As many American soldiers were fighting fascism and prejudice in Europe, many other American soldiers were enduring another kind of war. 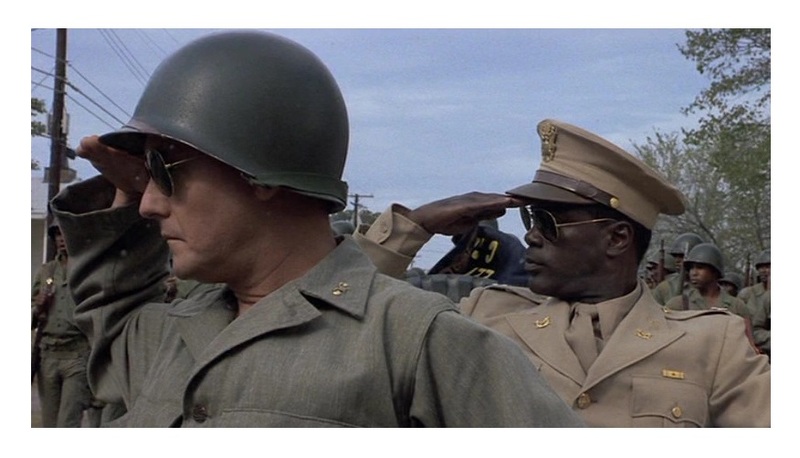 A Soldier’s Story concentrates on the varying levels of injustice that many African-Americans soldiers experienced at the hands of our own military, an irony that the film never lets you forget. This film adaptation of Charles Fuller’s 1981 Pulitzer-winning play A Soldier’s Play is a crackling murder mystery in the best Agatha Christie tradition, a powerful social drama and an incisive character study, all rolled into one superb movie. 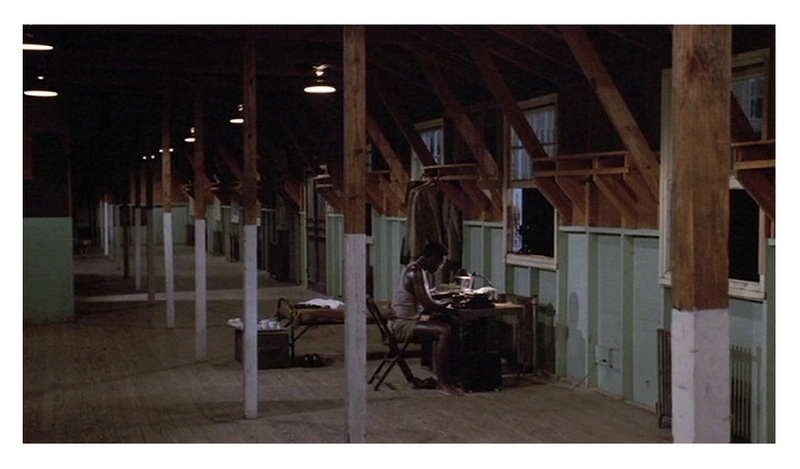 Director Norman Jewison goes back to a familiar territory after scoring great acclaim with his Oscar-winning film In the Heat of the Night (1967) many years before. As with that film, the Canadian filmmaker manages to present an unflinching look at the corrosiveness of bigotry in our culture. Jewison and writer Fuller, who adapted his own play, should be praised both for presenting an accurate look of the dynamics of the relation between whites and blacks in the 1940s and for having the temerity of exploring black on black racism, successfully illustrating that prejudice comes in many shapes and forms. Jewison and Fuller not only examine the racial tensions in pre-Civil Rights era, but they also create an absorbing whodunit. The addition of flashbacks — remember, this was originally a stage play — gives the movie an exciting visual texture that’s very cinematic. Make no mistakes, this isn’t canned theater — it’s a film in every sense of the word. The acting is fantastic. Howard E. Rollins is superb in the starring role and I was truly sadden when he passed away prematurely. He had a bright future ahead of him. The then unknown Denzel Washington (Glory) shines in a supporting role. I’m certain that had Rollins lived longer, he would have enjoyed the type of career Washington has had. Adolph Caesar is, however, the true star of the film. He is dynamite as the cruel Sergeant who is haunted by personal demons. Like Rollins, he died too soon — what a pity! Caesar has a few mesmerizing monologues and his efforts were rewarded with an Oscar nomination. Dennis Lipscomb (WarGames), Wings Hauser (Vice Squad), and Robert Townsend (The Five Heartbeats) complete the great cast. Soul singer Patti LaBelle makes her film debut as Big Mary. 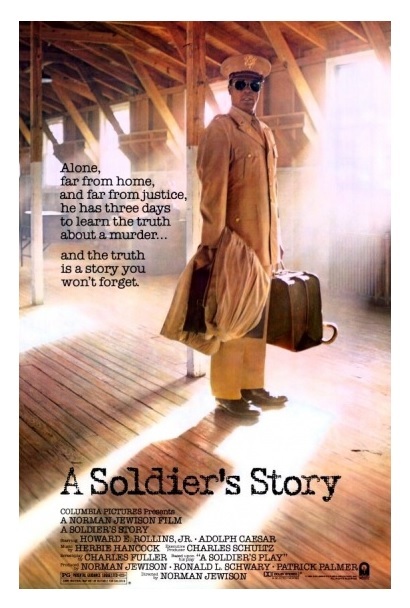 A Soldier’s Story was a really nice surprise — an effective and entertaining movie that sheds light into a neglected chapter in American history, and it will certainly help educate the audience. The movie won three Oscar nominations, including one for Best Picture, and it remains one of the most successful stage-to-screen adaptations from 1980s. Color, 101 minutes, Rated PG.